Grace Fellowship Christian Church has a beautiful facility that features a sanctuary, fellowship hall, several rooms, full kitchen and a work out area. It would be a perfect location for your meeting, event, or wedding. 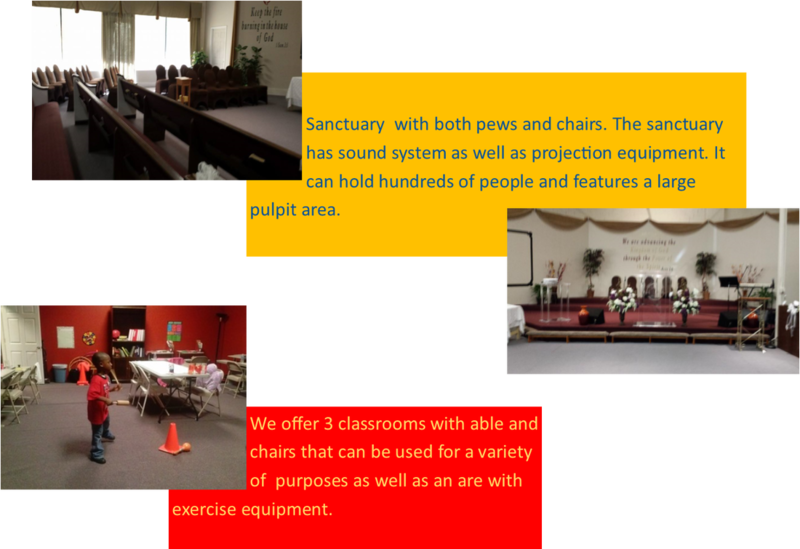 If you are interested in renting out space at our church, please contact us for more detailed information.